Winter is in full swing, but that doesn’t mean work slows down for the Memphis Boat Center. Right now through December 16th you have the chance to save up to $2500 on a new Malibu or Axis boat during their Year End Sales Event. Saving money is on the minds of everyone, and that money can be be saved for future use or spent on spontaneous decisions. Average Joe, the self proclaimed star of the Memphis Boat Center Year End Savings videos, hopped in the car with a handful of his companions and made the eight hour journey to Dallas, Texas on the weekend of November 13th-15th. The trip was a brand new experience for most of the parties involved. With the exception of two or three individuals, most of the guys have never gotten to see a city quite like Dallas. “I had never been to Dallas before,” said Connor Martel. “This trip was a great first one, Hydrous was a great wake park and as cold as it was we were still able to enjoy ourselves and take a much needed break.” Enrique Martinez, a Texas native, helped locate different destinations for the crew. With the help of his former teammate Reid Wiley, a resident of Dallas, the MBC road trip team got to experience the Lone Star State like they never have before. Before the crew could even get into the heart of Dallas, they stopped for go-karts. These were not your average go-karts, imagine live action Mario Kart but with top speeds of sixty miles-per-hour. The race track took about eighty seconds to get around even at high speeds. “Taking those corners at high speeds and not knowing if your tires are going to hold makes you live a little.” Said Enrique Martinez. After channeling their inner Dale Earnhardt the crew traded race helmets for wet suits as they cruised into Hydrous Wake Park for a short afternoon set. Basically with the park to themselves, the guys got to get an early feel for the park and make an early effort to tackle some of the features. After a few quick laps at Hydrous the team rallied at Top Golf with the rest of their road trip party. For those of you who have not experienced Top Golf before (like me) let me break it down for you: imagine a three story driving range that puts you up against your friends through a series of arcade style challenges. Now, imagine all of this surrounded by a giant lounge area, restaurant, arcade, and for the older crowd a bar. Even though the majority of us swing a golf club like Charles Barkley on roller skates it was still a new experience that brought out a fun, competitive spirit in everyone. The next day everyone went to Hydrous despite slight cloud cover and less than ideal air temperature. These factors would not put a damper on the crew as everyone eagerly awaited their chance to jump off the dock and take a few laps around the cable park. Towards the end of the day, the only people left in the park were the MBC road trip crew and a few locals, we basically had the park to ourselves for a few hours. The locals put on a show for us like we have never seen before, and everyone was very excited to be in the moment. “Hydrous is a great wake park with a staff who treated us with the best hospitality possible,” said Martel. Enrique Martinez and the Memphis Boat Center Marketing Team teamed up with Average Joe and made a video highlighting not only the Malibu/Axis Year End Sales Event, but the trip to Dallas as well. If you haven’t watched it yet you will find it below, and be sure to stay tuned for more installments of “Average Joe” and his journey through the money saving process this winter. Whether you are on the open road or the open water, life is better when you have friends in the passenger seat. Traveling and taking a road trip are the exact same, but they are vastly different. A road trip entails spontaneous decisions and long, grueling hours in a vehicle that is usually too small. Traveling requires extensive planning, painstaking research, and expensive plane rides. Road trips are usually done with friends, sometimes family, or it could even happen with random strangers. 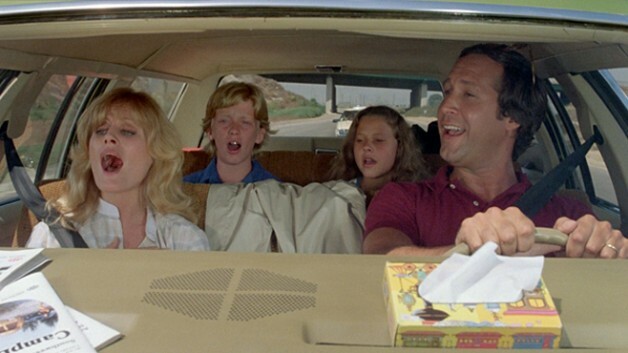 Traveling makes me think of the Griswold’s, my own family vacations, and still more plane rides. Traveling is very easy because usually, someone makes the plans for you (ex. mom and dad) but planning a road trip and planning it correctly is a bit of a challenge. There is a right way to road trip and a wrong way, so instead of figuring things out on the road by trial and error just make a checklist of things you should prepare for on the road. Most of your road trip is going to consist of quality time on the road, and I have used the term “most” very lightly. When I say most of the time, I literally mean anywhere from 8 to 12 hours of your day in a vehicle, with your travel companions, and hopefully a good attitude. Face it, you’re going to spending a lot of quality time in a car, and it’s something most people do not prepare for. Have a good attitude about it, if you want to get from point A to point B you’re going to have to put in work. Bring a handful of books, a pair of headphones and an ipod, (since those still exist..) or anything else that isn’t going to send you into a claustrophobic rage in the backseat. Nobody likes a sour attitude but EVERYONE hates a sour attitude for 8 hours plus. It’s important that you and your companions don’t come unraveled in the car otherwise you’ll be staring down the barrel of the most miserable road trip you’ve ever been on. Play nice, don’t complain about driving…if you don’t like it go get on a plane. 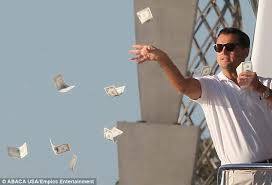 The two things everyone in this world could use a little bit more of: time and money. It takes time to travel across this great nation, but it also takes money, and most of us don’t necessarily have the means to justify cross country road trips. As a wakeboarder, my trips are usually planned around destinations that are close to water or close to a cable park, which can end up costing a decent amount of money. Streamline your decision making around a road trip destination that caters to your specific activities. I know you probably want to hop in the car and blindly speed off into the unknown, but the unknown can really put a dent in your pocketbook. Think about the cost of driving 12 or more hours into nowhere, finding a desirable location, and then driving off in another direction….oh and you’ve got one hundred dollars left because you stopped for useless truck stop items.. BE SMART! don’t try to achieve the impossible if you’re balling on a budget. If you want to go wakeboarding but Orlando is one thousand miles away and you’re broke just find the water around you, there are plenty of places to go ride and as long you believe it is worth your time, then it is worth your money. Preparing for the worst and hoping for the best are two very different things. Anything that can go wrong usually does on long road trips; whether it pertains to vehicle troubles, lost or stolen belongings, or the sudden absence of funds, taking a cross country journey can turn ugly at the drop of a hat. Before you embark on your journey you need to make sure all pieces of the puzzle are where they should be and everything is working at top level. Take two seconds to check all of the fluids in your vehicle, check your brakes, and go get your tires rotated. The fifteen or twenty minutes you spend checking your vehicle could end up saving you a lot of money and lot of hours on the road. Pack light, but pack smart; it isn’t necessary to bring an entire wardrobe with you, and those are more items you have to keep up with. Double check your double checks, and then check them again. The most important thing to remember when preparing to take a road trip is why you’re actually taking the trip in the first place. There isn’t a better feeling than reaching out to a group of your closest friends and telling them about your big elaborate plan to drive halfway across the country to do something ludicrous in the middle of nowhere and receiving a response like, “who’s car are we taking?” It feels good to get on the open road with the wind in your face; it makes you feel alive, it gnaws at your most basic instincts like a dog to a bone, the proverbial itch to go explore the world and see her wonders with your own two eyes. It’s a feeling that coexists with exhaustion, madness, and a little bit of insanity, but without those three there would be no satisfaction, just four tires and some asphalt. Life is just like a game of poker, you cannot control the cards that you are dealt, but you can control the people you play with; when it comes down to brass tacts happiness only feels so real unless it is being shared. Take your friends on a journey that none of you will ever forget, and at least for a little while the burdens of tomorrow will seem nonexistent. This weekend some of the Memphis Boat Center employees are embarking on a trip to Dallas, Texas to visit Hydrous Wake Park. Hydrous is one of the many cable parks that have sprung up in the Lonestar State over the last few years, and it is only eight hours from their home base here in Memphis. The boys have been preparing for almost a month for this trip, and next week when they get back stay tuned for a complete video recap of their epic journey and why they are still chasing the stoke in November.